This collection pays homage to our pioneering ancestors, from the natural historians of the 17th century who beautifully illustrated their scientific discoveries, to the leisure traveller of the later Victorian era who collected memoirs of their journeys with which to decorate their homes. These images still excite us today and evoke a sense of adventure and freedom. This particular voyage leads us through the Caribbean and South America, an exploration of the exotic colours found naturally in the flora and fauna of the southern hemisphere. From ocean beds, to cheeky capuchin monkeys, luscious ferns and exquisite botanical etchings, the studio have captured the essence of these beautifully painted illustrations. The collection comprises eight prints, together with two printed embroideries and seven non-woven wallpaper designs. 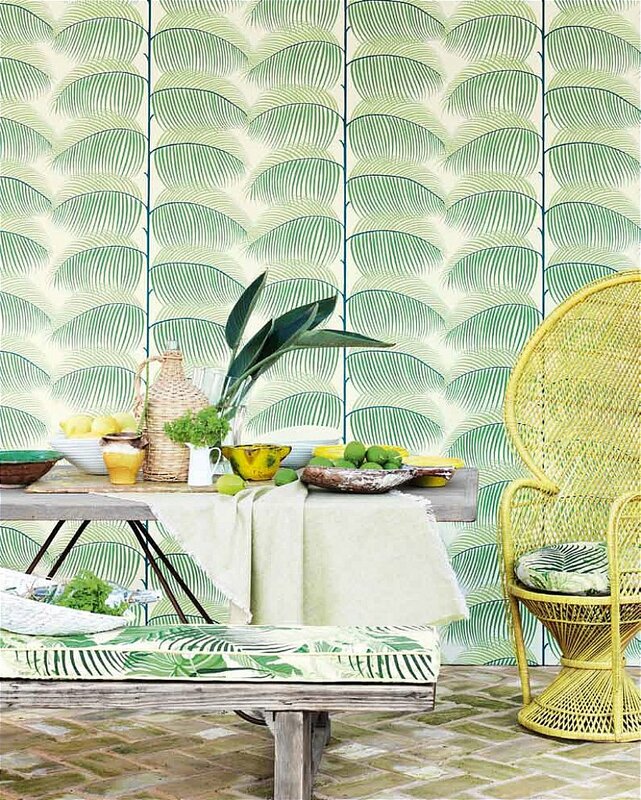 Manila is a luscious jungle design with over-layering of glistening tropical leaves. This is complemented by the more stylised Manila wallpaper. I would like more information about Voyage of Discovery Manila Fabric by Sanderson.